Phocle Green Bed and Breakfasts. Compare latest rates and Live availability for all your favourite places and places you have always wanted to go using our new My Shortlist feature. Click + to add to your Shortlist. Bed and Breakfasts in Phocle Green, Herefordshire for 1 night from Sat Apr 20, 2019 to Sun Apr 21, 2019 within 10 miles, in an Average Nightly price range of £1 to £200. A charming Georgian country manor house, Castle Lodge overlooks the pretty River Wye. Every room mixes traditional and contemporary features, and includes a flat-screen plasma TV and an iPod docking station. Guests have a choice of 2 restaurants, and can enjoy the comfort of an open log fire while they eat. There is an Ã la carte menu, and on Sunday a hearty carvery is available. Castle Lodge Hotel is surrounded by picturesque country walks in the Wye Valley, an Area of Outstanding Natural Beauty. There is free Wi-Fi throughout the building, and free private parking on site. The stunning Brecon Beacons National Park can be reached in 40 minutes' drive, and the city of Gloucester is just 35 minutes from the hotel by car. Located in the pretty country village of Lea, this 15th-century inn has a traditional bar and restaurant with wooden beams and 3 real fires. Free private parking is provided at the family-run Crown Inn and free WiFi is accessible throughout. Each individually designed room includes a flat-screen TV and an en suite bathroom. Tea and coffee facilities and a hairdryer are also provided. The property also offers a games room with darts, pool and TV, a bar area with a jukebox and 2 eating areas. There is a large garden and an enclosed courtyard garden only for adults. The Lea Spice Restaurant is open 7 evenings a week and serves freshly prepared Indian cuisine, as well as several English options. The Forest of Dean is less than 5 minutes' drive away and fishing and canoeing are possible on the River Wye, which is just 20 minutes' drive away in the village of Symonds Yat. Gloucester city centre can also be reached after a 20-minute drive. En-suite bed and breakfast accommodation in a private, landscaped courtyard. We can offer golf, bed and breakfast and Society Days. Our accommodation consists of 1 single, 2 doubles and 3twin-bedded rooms. We are located close to the entrance to Goodrich Castle, visit our web site for full details and also see our cottage option which is great value. We are located in the centre of the village only minutes from village hall and pub/resturaunt. If you are checking in after 7pm please let us know and provide us with a mobile number and we will text you information and leave your key in your room for you. Please note we do not accept children under 4. Guests will receive a complimentary in room breakfast to go which consists of cereal bar orange juice pain au chocolat and banana (per person) There is also tea/coffee making facilities in your room and a silent chiller incase you want to bring anything with you. If you are looking for a place to stay near Newent we are ideally situated 1 mile from Three Choirs Vineyard 7 miles from Hartpury College 20 miles from Cheltenham Racecourse and 9 miles from Ross on Wye or the Forest of Dean Ledbury 20 minutes from Gloucester and 4 miles from the M50 Junction 3. The Lodges are grouped around a private courtyard and there s ample car parking for guests. We have 10 rooms in total all are en-suite with shower free WiFi TV hairdryer and hospitality tray. Each room has its own entrance onto a private courtyard. You do not need to be a golfer to stay here. We do not do evening meals however there are a number of places to eat within a couple of miles and if needed there is a good local taxi service. Less than 4 miles from Junction 3 of the M50 road and 1 mile from Newent town and Three Choirs Vineyard, the family-run Newent Golf Club and Lodges boasts en suite bedrooms with free Wi-Fi. Each room has its own entrance leading onto a private courtyard. They all come with tea/coffee making facilities, a flat-screen TV with DVD player, and an en suite shower room with a hairdryer. Newent Golf Course is a 9-hole course with panoramic views of the surrounding countryside. There are 6 par 4s and 3 par 3s. A complimentary in room 'breakfast to go' is provided, consisting of orange juice, pain au chocolat, a cereal bar and a banana. There are also tea/coffee making facilities in your room and a silent fridge. A 20-minute drive from Gloucester and a 25-minute drive from Forest of Dean, Newent Golf Club and Lodges has free onsite parking for its guests. The George Hotel offers 9 bedrooms on a bed & breakfast basis. Situated in the centre of Newent so close to all amenities yet with a very rural feel to it. The ancient market town of Newent is situated where two medieval roads from Wales converged on their way to Gloucester and the Severn River Crossing. The pretty Town with its black and White houses and historic Market Square make it a perfect location for touring the surrounding countryside of The Forest of Dean the Wye valley and the famous daffodil walks of Dymock being overlooked by May Hill.The world famous National Birds of Prey Center is located within one mile of the town as is the award winning Three Choirs vineyard. br / br / br / br / You can relax and enjoy a drink in our comfortable bar with its open fire and wonderfully cosy atmosphere or choose from the extensive bar menu much of which is created using local produce. High standards of accommodation are offered and most rooms having en-suite facilities or private bathrooms tea/coffee making facilities and colour televisions in all our rooms. br / br / br / br / The restaurant is also available for private functions weddings meetings or social gatherings. We also have two other function rooms the larger one with a full stage in it making it ideal for larger parties (up to 200 people) and gatherings such as weddings where you may require bands or other forms of entertainment. br / br / br / br / Newent is the largest town in north west Gloucestershire and situated north of the capital Gloucester and surrounded by local towns of Ledbury Dymock and Ross-on-Wye. Newent is certainly one of the most attractive towns in the Forest of Dean area. It is a thriving unspoilt market town with a wide range of attractions for the shopper and visitor. Many of the buildings date from the 13th century and centrepiece of the town is the Old Market Hall which was built in 1668. Set in a 17th-century building, the Yew Tree is located in Longhope village, just 5 minutes' drive from the Forest of Dean. Free private parking is provided and free Wi-Fi access is available in all rooms. A British menu is served in the on-site restaurant, which features a log fire and beamed ceilings. A TV with a DVD player and tea and coffee making facilities are included in each room at the Yew Tree Inn Motel, which also has a private bathroom. Guests can relax with a drink in the bar area, which also serves snacks and has TVs. A full English breakfast is available in restaurant. Longhope's village shop is a 5-minute walk from this motel. Gloucester city centre can be reached after a 20-minute drive. Cheltenham and its racecourse are 30 minutes' drive away. The Yew Tree is located on the gloucestershire and Herefordshire border and only a 20 minute drive to the welsh border and to Cheltenham racecourse. br / br / br / br / The Yew Tree dates back to 1609 and was recently purchased from the brewery and has undergone extensive refurbishment. br / br / br / br / The pub and restaurant has been finished to a high standard and we have just finished the building of 9 self contained ensuite chalets to the rear of the property again being finished to a high standard. The forest of dean is a 5 minute drive and has an enormous amount of activities to offer with cycling climbing walking Golf Courses and the severn bore just to name a few. br / br / br / br / The Restaurant has 50 covers with alog fire and beamed ceilings and hops and gives a country feel. br / br / br / br / The bar area has sofas and televisions where you can relax and enjoy a drink or bar snack. br / br / br / br / Accomadation is on a room only basis with breakfast lunch and dinner all available in our restaurant. br / br / br / br / The rooms have ensuite facilities colour freesat television and dvd also tea coffee making facilities. Located in Little Dewchurch, The Plough Inn provides a garden and free WiFi. Boasting room service, this property also has a restaurant and a terrace. Guests can have a drink at the bar. You can play darts at the inn, and the area is popular for cycling and hiking. Worcester is 49 km from The Plough Inn. Gloucestershire Airport is 46 km away. Located in Ledbury, Yew Tree Farm B & B provides accommodation within 12 km of Eastnor Castle. Free WiFi is provided. A continental breakfast is available daily at the property. Guests can also relax in the garden. The nearest airport is Gloucestershire Airport, 36 km from the bed and breakfast. Situated in Ledbury, the family-run Leadon House Hotel offers a bar and a restaurant. With free Wi-Fi and free onsite parking, it is on the borders of Herefordshire, Gloucestershire, and Worcestershire. This Edwardian-style property offers unique charm and elegance. The rooms include tea and coffee making facilities, a safe, an alarm clock, and a TV. Each room has an en-suite bathroom with a hairdryer. In the mornings, the Leadon serves traditional full English breakfast. Continental and vegetarian options are also available and dietary requirements can be catered to upon request. The restaurant offers both 3-course and 2-course menus, with choices including rosemary lamb steak and salmon fillet. The Leadon House Hotel is just 30 miles from Cheltenham Racecourse and the Wye Valley is a 25-minute drive away. The popular wedding venue of Eastnor Castle is just 10 minutes' drive away. With garden views, The Kings Head Inn is set in Longhope and has a restaurant, a shared lounge, bar, garden, children's playground and terrace. Complimentary WiFi is featured. The bed and breakfast offers a flat-screen TV and a private bathroom with free toiletries, a hair dryer and shower. Breakfast is available daily, and includes continental and Full English/Irish options. Cheltenham is 24 km from The Kings Head Inn, while Gloucester is 11 km away. The nearest airport is Gloucestershire Airport, 17 km from the accommodation. There is a single room and a double room each with a kettle and TV., and a good sized, shared shower room and WC. We are 5 miles north of Gloucester, near to Hartpury College. We are in a rural setting with plenty of parking space, and pubs nearby. Lovely half timbered character property set in 4 acres of grounds.Corse Lawn is situated between Gloucester Tewkesbury & Cheltenham.Views of the Malverns and walks along the river Severn nearby.2 double rooms which share a bathroom,all newly refurbished. The Belfry Hotel is situated on the edge of the beautiful Forest of Dean which is one of the few remaining hunting forests which still boasts of herd of wild fallow deer. There are many places of interest within the forest from forest walks cycle paths or great family attractions and events not forgetting the Severn Bore which attracts many visitors throughout the year. The Belfry Hotel offers 21 two-star tastefully furnished rooms all with en suite bathrooms telephones tea/coffee facilities central heating TV with Freeview channels and free Internet. Our accommodation comprises of Single Double Twin Triple or Family Rooms. The Belfry offers good food daily specials traditional carvery and themed food nights served in our relaxed bar and conservatory or you can choose to dine in our tastefully furnished restaurant. We offer a wide selection of traditional ales lagers ciders together with a full range of wines spirits and bottled beers. The Belfry Hotel also hosts a children s play area outside seating area heated patio and smoking area background music system and sky television. You will find the staff uniformly dressed in a family friendly environment and a guaranteed warm welcome. The Royal Oak Hotel was built in 1643 and was renovated in 1890. There was a brewery on the site until 1921 which was restarted in 1996 but sadly closed again in 2000. br / br / br / br / Richmond Hill Breweries have taken The Royal Oak Hotel to the next level in the hospitality sector modernising all 12 rooms in the hotel but keeping the original beams exposed. br / br / br / br / We offer a range of different rooms from single to superior family rooms which all come with a full English breakfast. br / br / br / br / If you are looking for somewhere to stay in Ledbury make sure you book with us at The Royal Oak Hotel for a relaxing and friendly stay. br / br / br / br / The restaurant/bar has a warm and welcoming feel with fresh homemade food and a great selection of different drinks. Perfect for the whole family. br / br / br / br / We also have private function facilities perfect for celebrating your next big event. Featuring free WiFi, Royal Oak Hotel offers rooms in Ledbury, 4 km from Eastnor Castle. Providing a restaurant, the property also has a bar. The property offers services including meeting and banquet facilities and evening entertainment. All rooms in the hotel are fitted with a kettle. The rooms in Royal Oak Hotel are equipped with a flat-screen TV and free toiletries. A Full English/Irish breakfast is available each morning at the property. The nearest airport is Gloucestershire Airport, 44 km from the accommodation. White Hart Inn offers rooms in Cinderford. The property features a garden, as well as a terrace. Guests can have a drink at the bar. All rooms in the hotel are equipped with a coffee machine. The private bathroom is fitted with a shower. A continental or Full English/Irish breakfast is available every morning at the property. White Hart Inn offers a children's playground. Cheltenham is 36 km from the accommodation, while Gloucester is 24 km from the property. The nearest airport is Gloucestershire Airport, 29 km from White Hart Inn. Set in Ledbury, 4.2 km from Eastnor Castle, Seven Stars offers amenities including a terrace and a bar. This 4-star hotel offers free WiFi. Guests can enjoy city views. All guest rooms in the hotel are equipped with a flat-screen TV. The rooms are fitted with a private bathroom with a bath, free toiletries and a hair dryer. All rooms will provide guests with a wardrobe and a kettle. Gloucestershire Airport is 44 km away. Built in 1676 as a hunting lodge for King Charles II, the Speech House Hotel has been refurbished to offer modern facilities and luxurious rooms while retaining its period features. The Speech House is situated 5 miles from the Wye Valley in the heart of the Forest of Dean. Rooms are set in the main house or in the courtyard, with many offering forest views and some with four-poster beds. All rooms are decorated in a traditional style and have TVs with Freeview and tea and coffee-making facilities. The Verderer's Court restaurant has beamed ceilings and offers modern European cuisine. The Orangery serves lighter meals and snacks. The Speech House is 10 minutes' drive from the Dean Forest Steam Railway and the Dean Heritage Centre. Chepstow Castle and town centre, as well as Gloucester with its historic docks are a 30-minute drive away. Cheltenham is a 40-minute drive from the hotel and there is easy access to the M4 and M5 motorways. 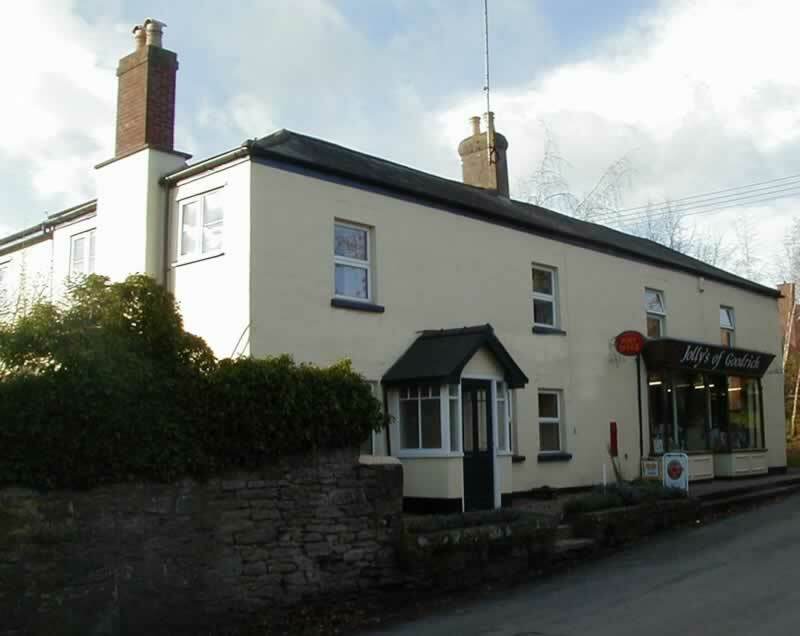 The New Inn is situated in the heart of the Forest of Dean, and offers bed and breakfast. 3 luxury, double rooms, beautifully furnished. The Chase is set in 11 acres of grounds and landscaped gardens, in the Wye valley. It offers free parking, a bar and an award-winning restaurant. Bedrooms are all individually styled and well-equipped and many have views over the grounds and gardens. They all have a bathroom with a bath and a shower and other facilities include tea/coffee and satellite TVs. Harry`s Restaurant has original Georgian features such as tall ceilings; traditional cuisine is on the menu. For a more informal experience, the Chase Lounge and Bar serves light snacks. The hotel is a short walk from the heart of Ross, with its shops and restaurants. The Kilcot Inn is set in Newent and has a garden and a shared lounge. This 4-star inn features free WiFi and a bar. There is a restaurant. Guest rooms in the inn are equipped with a kettle. All rooms are equipped with a private bathroom with free toiletries. At The Kilcot Inn rooms are fitted with a desk and a flat-screen TV. Breakfast is available each morning, and includes continental and Full English/Irish options. Cheltenham is 31 km from the accommodation, while Gloucester is 18 km away. Gloucestershire Airport is 24 km from the property. Located on the beautiful Gloucestershire and Herefordshire border, The Farmers Boy is a 17th-century country inn. Family owned, this award-winning inn offers charming accommodation. Just a short drive from Wales and within easy reach of the Royal Forest of Dean, The Farmers Boy Inn is just 20 minutes from Cheltenham Race course. There are a number of good golf courses in the area. This Inns' restaurant and bar area still retains many attractive period features, including the original oak beams and open log fires. There is also a lounge. The friendly staff can advise guests on local attractions and help arrange a number of activities including fishing and horse riding. Rooms are located in a modern, purpose-built annexe. Each room has a TV and a shower room. In one of Herefordshire's prettiest villages, this charming inn offers free Wi-Fi and free parking on site. Dating back over 500 years, it still retains numerous original features like old wooden beams and a large fireplace. Guests at The Green Man Inn can enjoy delicious home-cooked food with options ranging from pear and red onion tarte Tatin, to fillet of hake wrapped in ham, and slow-braised beef. There is a daily specials menu, and a wide range of drinks for you to enjoy. Rooms are spacious and elegant in style, and all benefit from a flat-screen TV. Each also has an en suite bathroom with a hairdryer and free toiletries. The Green Man Inn is less than 15 minutes' drive from Hereford's centre. Ross-on-Wye can be reached in 20 minutes by car.